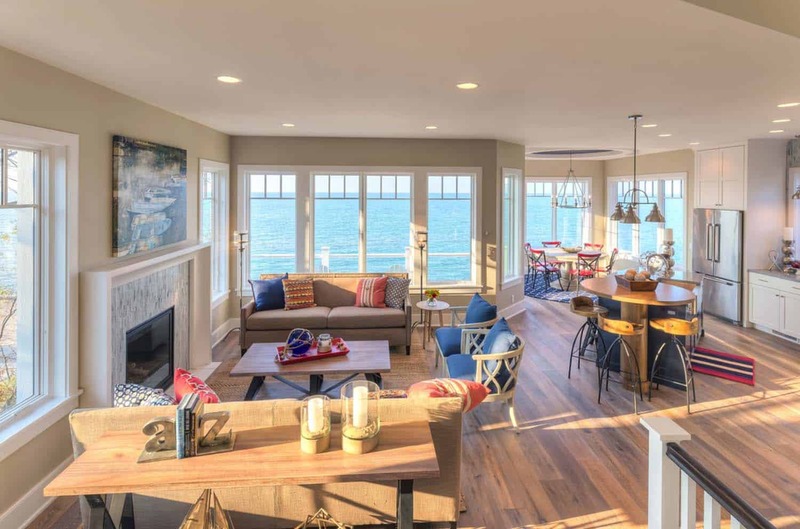 This refined beachfront retreat was designed by Mike Schaap Builders along with interior designers Benchmark Design Studio, located in Michigan City, Indiana. This home makes a truly unforgettable impression beginning with the exterior facade, featuring vivid blue outlined with a white trim, balancing the tranquil hues of the water. Fiber cement siding clads the exterior, designed […] The post Refined beachfront retreat offers captivating views of Lake Michigan appeared first on One Kindesign.